Mount Merritt is the make. wear. love. fall 2017 retreat design for color goddess Spirit Trail Fiberworks. 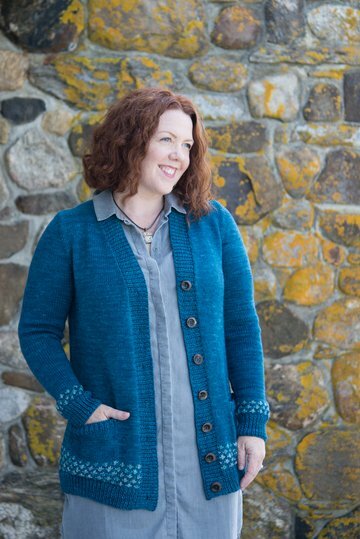 Jen's yarns blend colors beautifully, with rich, saturated shades and (sometimes, lately) a speckle here or there. 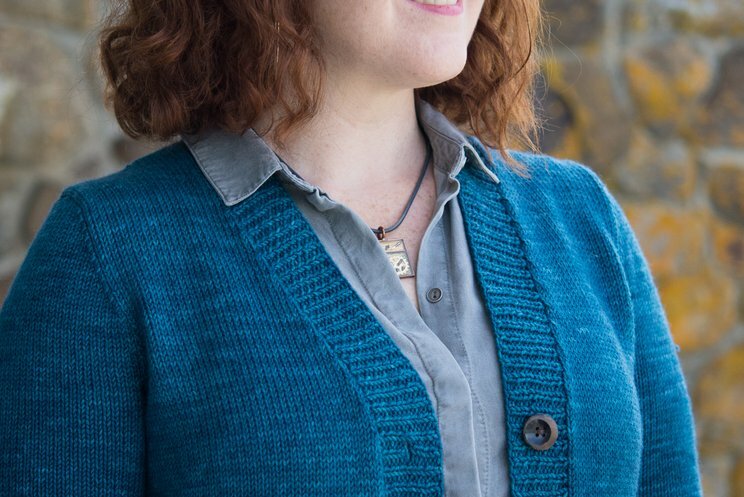 I wanted to design something warm, snuggle-worthy, and enveloping - something you'll reach for when the days get cold, or things are overwhelming: So I started with a super-long length, super-cozy worsted yarn (Jen's Luna base), and comfy patch pockets. I also wanted to provide a canvas for using up a special hank of yarn, so I added a simple slip stitch color pattern at the hem and bottom of the sleeves, echoed on the pockets. I've used a speckled yarn, but please feel free to vary your choices - this is a great place for a super-variegated hank to create a stained-glass effect, or a blazing neon that needs to be used sparingly. 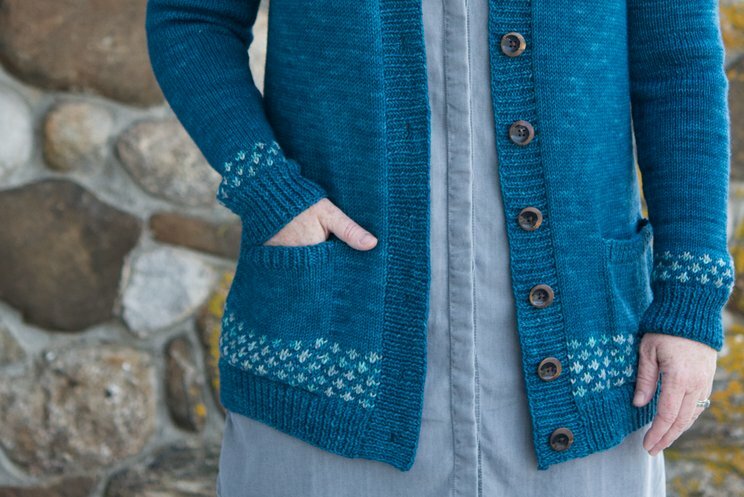 One note about the slip-stitch pattern: While your stitch gauge will stay constant, your row gauge will be compressed - so I advise you not to count rows for the slip-stitch portion of the garment, instead relying on measurements. 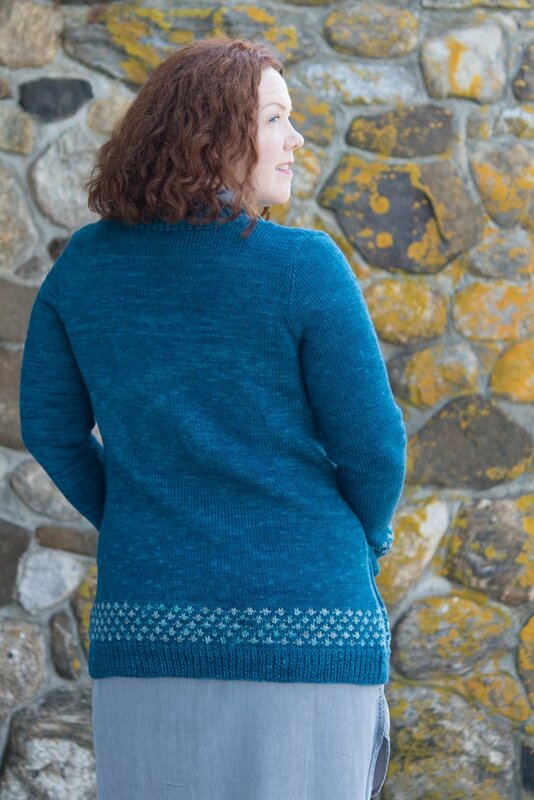 A standard size 30 (32, 34, 36, 38, 40, 42, 44, 48, 52, 56, 60)’’ sweater, with Spirit Trail Fiberworks Luna worked at 5 stitches to the inch, and worked in a 28'' tunic length, takes 7 (7, 8, 8, 9, 9, 9, 10, 10, 11, 12, 13) hanks of Luna in MC (shown in "Casco Bay"), and 1 hank of CC (shown in "Winter Harbor"). 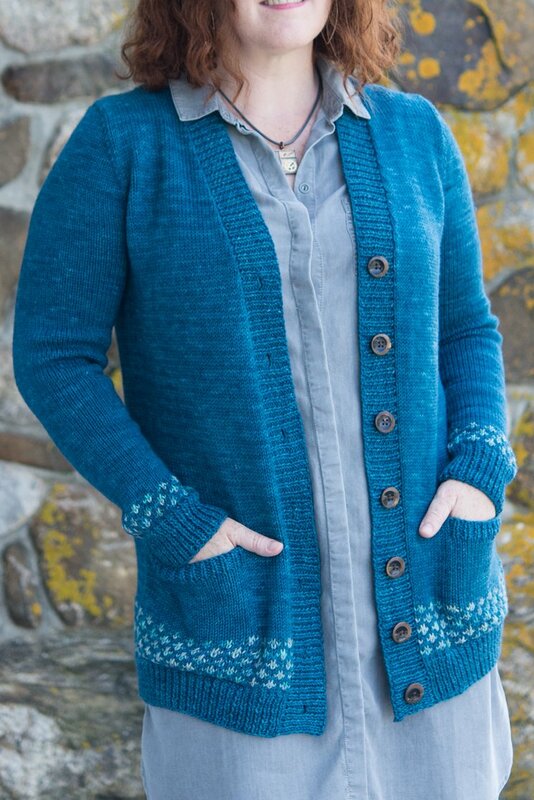 If you'd like a shorter sweater, you'll definitely need less yarn than this - in that case, I recommend Hannah Fettig's excellent resource Stashbot, available both as a printed pamphlet and as an iOS app.